Biofuels are a renewable source of energy used mainly for transportation. They link together food, energy and natural resources sectors, and involve ecological, social and inequality issues. They are an emblematic example of the interactions between economic, environmental, social and political decisions and, as a recent and complex issue, require updated and detailed information to be understood. 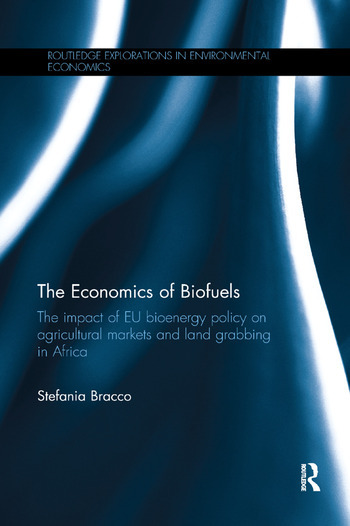 This book aims to shed light on several economic, social and environmental issues connected to biofuel production and policies. The Economics of Biofuels adopts detailed descriptions, rigorous data analysis and precise econometric methods to estimate the effects of biofuel on different socio-economic factors, avoiding complicated and sometimes ineffective models based on context-specific parameters. In particular, the book focuses on the impact of bioenergy policy on biocommodity production and trade, and on the related phenomenon of land acquisitions to grow biofuel commodities. The book’s main findings are derived by an original and unique dataset collecting information on the investors acquiring land in Africa and on the voluntary standard, certification and labelling schemes adopted by them as Corporate Social Responsibility (CSR) strategy. The analysis links together in an original way public and private initiatives to make biofuel sustainable. Therefore, this book represents an improvement in the understanding of biofuel production and policy’s sustainability. This book is of interest to those who study environmental economics, agricultural economics and sustainable development. It is also suitable for those in the renewable energy sector, with a particular focus on biofuel sustainability. Food for Fuel or Fuel for Food? Stefania Bracco works for the Climate and Environment Division (NRC) and the Investment Centre of the UN Food and Agriculture Organization (FAO) in Rome. She holds a PhD in Economics and she is Adjunct Professor of Quantitative Methods for Social Sciences at the University of Turin, Italy.